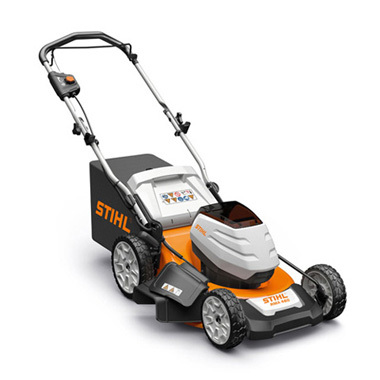 The Stihl RMA 460 battery powered lawn mower is suitable for small to medium sized yards. This mower is compatible with the Stihl AK (compact) battery and is specifically designed for small to medium sized lawns. The steel base and Dacron mesh catcher bag make this unit robust and log lasting. This mower is suitable for mowing approximately 400 square metres of lawn on a single (AK30) battery charge. (Battery and charger sold separately).